“Rei” means mysterious, universal, miraculous, sacred. “Ki” means energy, atmosphere, something unseen. REI – KI – Together, the words “Reiki” can be definied as a sacred and miraculous energy which sustains all life. Anyway, Reiki means “Universal Life Force Energy“. In Japan, the word ‘Komyo‘ is translated as meaning ‘Enlightenment‘. Thus, the name Komyo Reiki itself can be translated as meaning “Enlightenment Reiki“. At age 57, Mikao Usui Sensei founder of Reiki Shiki Ryoho received the Reiki system of natural healing in 1922 after 21 days of fasting and meditating on Mt. Kurama in Kyoto. 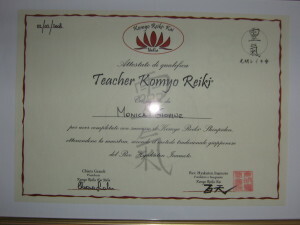 I teach Komyo Reiki classes both in person and by correspondence. Hyakuten Inamoto is Buddhist monk from the Pure Land sect of Buddhism. Inamoto sensei studied all levels of Reiki training with Mrs. Yamaguchi-who passed away the summer of 2003. Mrs. Yamaguchi held with the tradition of never writing anything done. She practiced the oral teaching of Reiki training. Inamoto sensei created a Reiki manual from his memories of his teaching with Mrs. Yamaguchi and he has chosen to name his sytem of Reiki, “Komyo Reiki“. 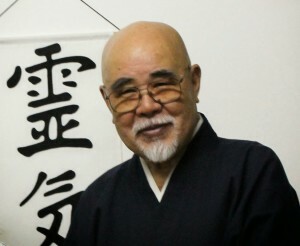 Inamoto sensei is fluent in the English language and is teaching his system of Reiki in Japan, the United States, Canada and Europe.